HomeBlogUncategorizedDo I Still Need an Oil Change Every 3,000 Miles? Do I Still Need an Oil Change Every 3,000 Miles? For as long as most of us can remember, the rule for oil change has always been every 3,000 miles or 3 months. Many people are unaware that the rule has slightly changed. With the emergence of synthetic oil, the general rule for oil change is now 4 months or 5,000 miles. Much like gas mileage, oil life has improved drastically over time. Changes in the composition of oil have made its lifespan longer. 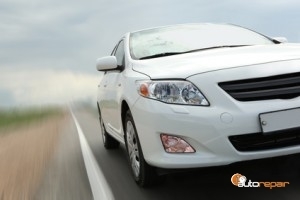 Engines in newer vehicles have also made significant strides. The combination of advancements make 5,000 miles the new barometer for an oil change. Many auto shops have not updated their policy at the risk of losing money. It is important to keep yourself up to date on these practices so that you can choose the best auto shop for you. If your car is more than 15 years old, it may still need more frequent oil changes. Because used cars typically have higher mileage, more maintenance is required to keep it running at an optimal level. Older cars need consistent monitoring to prevent damage that could lead to monumental expenses, some of which wouldn’t even be worth pursuing. So in cases like this, changing your oil frequently is a good idea. The most important part of maintaining your car’s health is having regular inspections from a trusted auto body shop. At J1 Auto Repair, we pride ourselves in providing honest service so that you can get what you need at an affordable price. If you have questions about your vehicle call us at (630) 932-4427. Posted in Uncategorized on June 6, 2017 by J1 Auto Repair.